You want to make a quick change to a 3rd party vertex object in Carrara, head over to the Modelling Room, but all your favourite tools are greyed out. What’s going on? 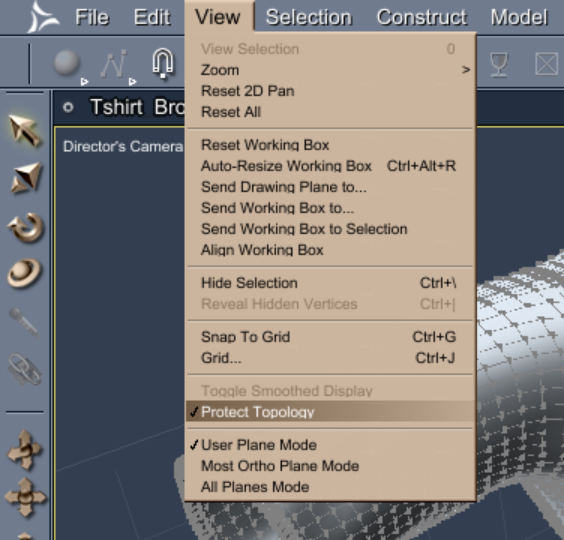 Carrara has a feature called Protect Topology, and there’s a good chance it’s switched on for items you bought from a marketplace. It’s there so that you can’t accidentally deform a sleeve of a t-shirt or worse. Here’s how to switch it off so you can edit 3rd party vertex objects as if they were your own. First, make sure that you select the correct item in the Properties Panel. In this example I’m using the Brodie 6 Casual T-Shirt. Once loaded into the scene you’ll find a hierarchy of items. The first two aren’t going to open in the Modelling Room at all (Tshirt_BC and Tshirt_Brodie in my example). This is where Carrara is different from other apps. The third item (Actor) is the one you want to select. Sometimes it’ll be called Model. It’s the “real” object, just before the first bone item starts. When in doubt, keep an eye on the little wrench icon in the top left corner: when it turns white you can edit this object. If not, keep looking. Enter the Modelling Room by clicking either one of the wrench icons: the left one lets you edit your object inside the Assemble Room, and the right one switches to the Modelling Room and shows you the item on its own. To unprotect the geometry and make our object editable, head over to View and untick Protect Geometry. Now all your tools are back and you can go to work on this object. 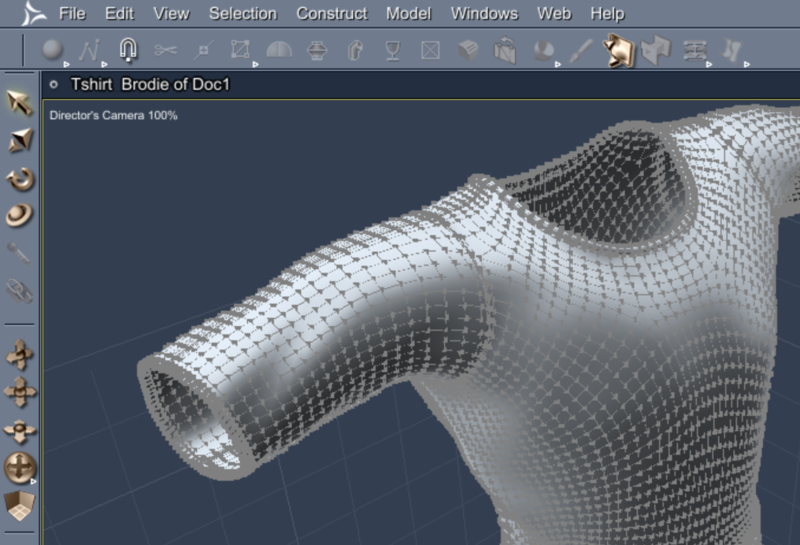 Some objects may not be Vertex Objects and open with more or less a blank screen in the Modelling Room, the only option being Convert to Other Modeler. 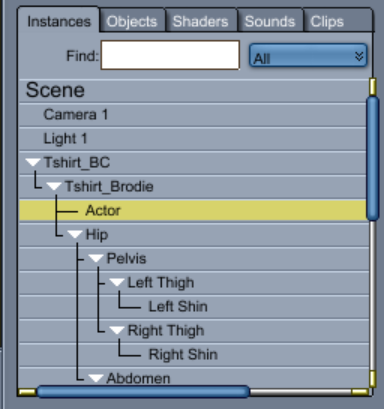 This is also available from the edit menu in case you’d like to use vertex tools with a primitive or a spline model. 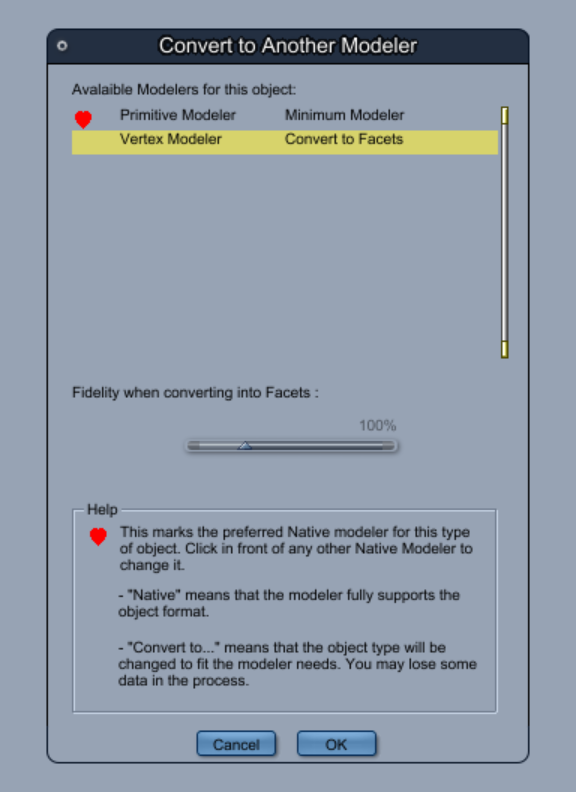 Converting – when available – will turn your object into a Vertex Object, no matter what it was before. Doing so will change your geometry though.